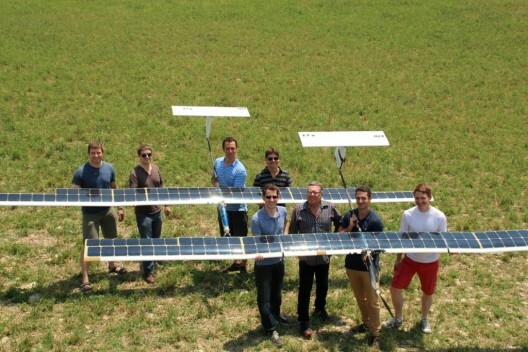 Following Andre’ Borschberg’s record-breaking endurance and distance flight in Solar Impulse last month, the accomplishment of a group of Swiss students and their planned trans-Atlantic, solar-powered autonomous flight are equally worthy of consideration. With a much smaller budget than Solar Impulse, the students are planning a 5,000 kilometer (3,100 mile) flight from Bell Island, Canada to Lisbon, Portugal, a seven-day test of self-guided navigation and autonomous airmanship. Recent achievements by the team suggest that success will come from good design and careful planning. This great effort, the third longest solar flight ever, trails only Airbus Space’s (formerly QinetiQ’s) 53-kilogram (116.6 pound) Zephyr 7 and the 2,300 kilogram (5,060 pound) Solar Impulse 2. 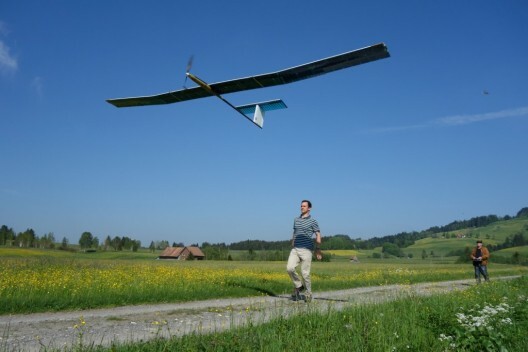 It is the fifth-longest flight ever demonstrated by any aircraft (both manned and unmanned), according to ETH. 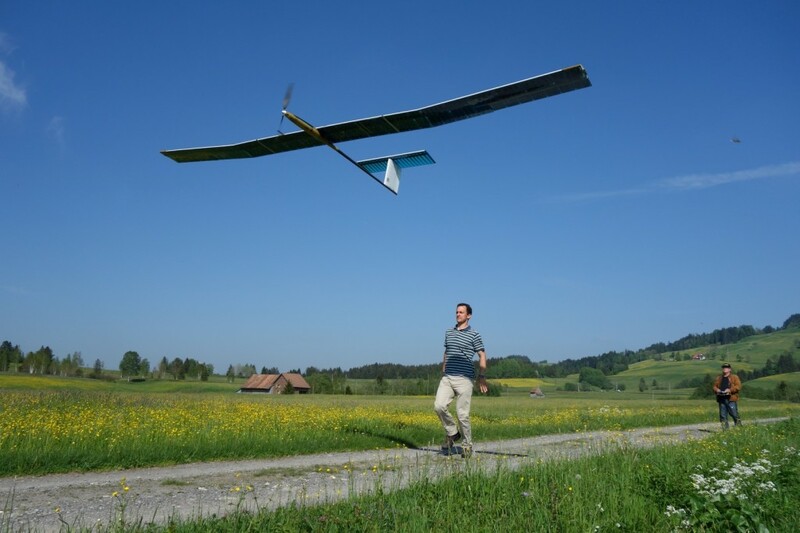 The flight, from the Rafz, Switzerland radio-controlled model airfield, took place between July 14th and 17th, the first three days being sunny. After four days and three nights, the aircraft landed with batteries fully charged – able to have carried the craft through another night. With the hand launch taking place at 09:32 on the 14th, batteries were fully charged each day thereafter by 13:05 local time each day, even before maximum sunlight (solar noon) at around 13:30 each day. AtlantikSolar 2 consumed an average of 35 to 46 Watts in level flight and under calm conditions. 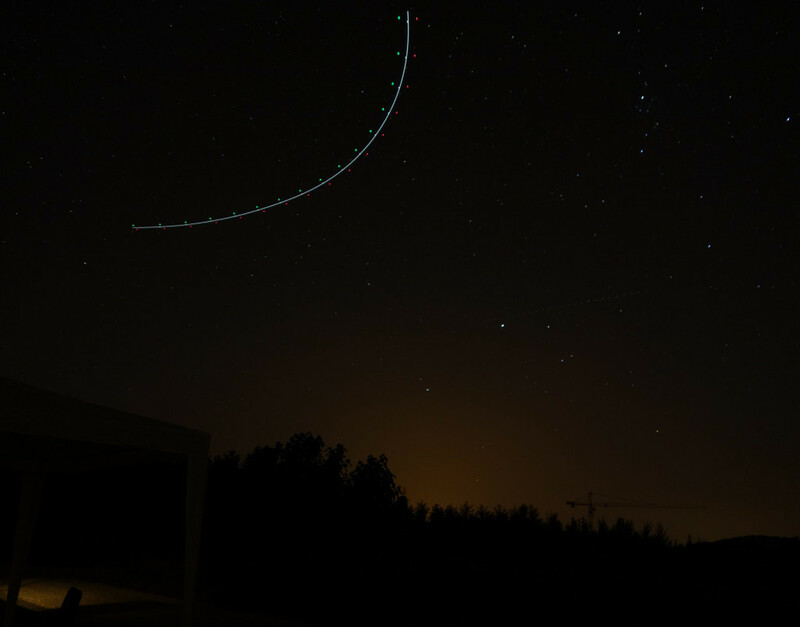 Maximum input from the 88 SunPower E60 solar cells during each day was around 260 Watts, enabling the plane to fly through the following night and face the sunrise with a minimum state of charge around 35 percent. This would allow the plane to continue with enough energy to make it through longer nights, clouds, or winds, the latter two of which affected the flight’s last day. Thermal updrafts during the first evening and night, followed by downdrafts during the second night dropped the battery capacity to 32 percent, their lowest level throughout the four days. 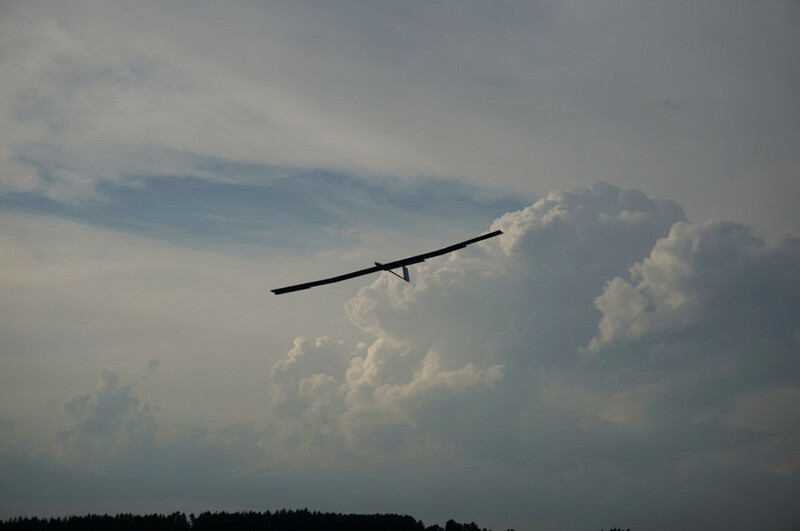 The airplane survived structural loads imposed by arriving thunderstorms and the strongest winds – up to 60 kilometers per hour (37.2 mph) – experienced on the last day. Gusts were strong enough to partially damage the ground station, but the airplane landed safely in autopilot-assisted mode when the winds dropped. In the near future, a “swarm” of four Atlantik Solar 2’s will be launched from Bell Island into “the harsh Atlantic environment, with the hopes that all will make it through seven days and nights of unpredictable weather and contrary winds to make it to Portugal. After that, the aircraft will test optical and infrared cameras and atmospheric sensors. Some of these flights will take 12 hours and cover 400 kilometers (248 miles) over the Brazilian rain forest. Later developments will include evaluation of the aircraft to provide telecommunications services in large-scale disasters, or live images during industrial sensing and inspections missions. We wish the ETH ASL team all the best in their endeavors, and hope to hear of a successful Atlantic crossing soon.